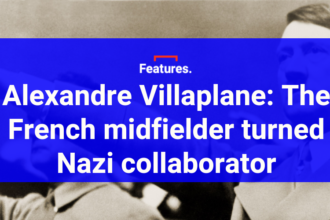 I had only known Marc Vucinovic a matter of seconds when the SC Paderborn 07 defender put his hands on my shoulders and laid his head against my chest. One local journalist had told me the right-back was a quiet-yet-affable guy, but this was unexpected. All I had done was agree to do the interview in his native German. 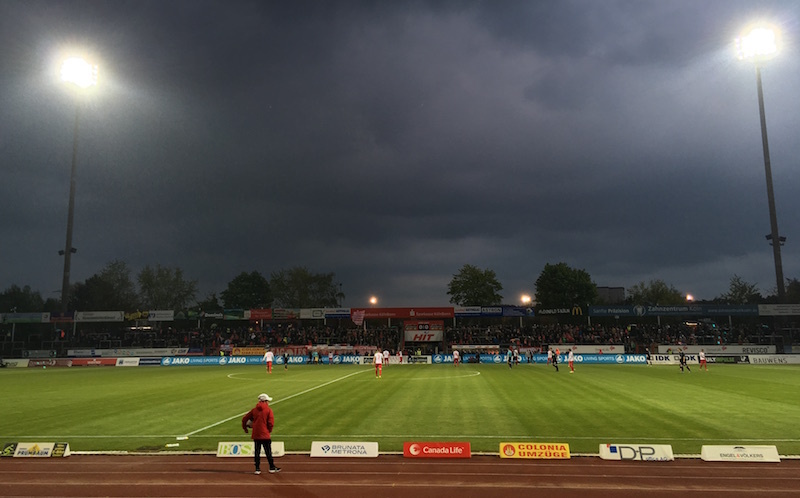 Perhaps it spoke more of the 30-year-old’s relief at the precious 1-0 win Paderborn had just secured at Fortuna Köln’s Südstadion, a ground housing just one stand with covered seating while terracing arcs round the rest of the stadium. Some of the 2,466 fans present on this Friday night were left soggier than others after an almighty April shower. “The last time it was chucking it down this much was when Noah built his ark,” chirped the Fortuna Twitter account. I met Vucinovic just after he had walked through the Südstadion tunnel, which is more a covered metal cage. It’s a little different to, say, the Signal Iduna Park in Dortmund, where two years ago Vucinovic was playing for Paderborn in front of just over 80,000 fans. Paderborn were even leaders in the Bundesliga for a brief period that season. Only three other clubs – Dortmund, Bayern Munich and RB Leipzig – have sat on the summit of German football since, though Bayern have been perched there for a little longer than their rivals. But for Paderborn, everything has gone south. They were relegated in 2015 and dropped straight out of the 2. Bundesliga a year later. 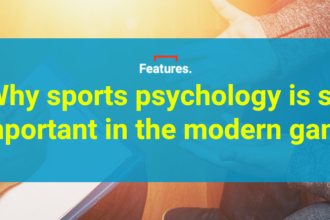 This season could see them complete an historic hat-trick, with no club in German football having previously been relegated from the Bundesliga to the fourth tier Regionalliga in three consecutive seasons. What is even more serious is how this decline on the pitch is threatening the club’s very existence. 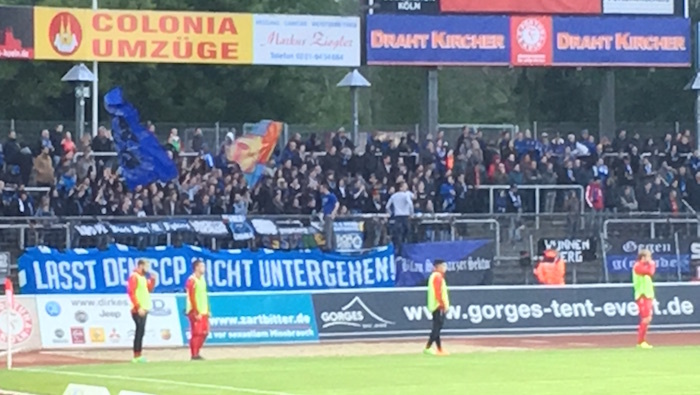 The average attendance was a touch under 15,000 in the Bundesliga when Paderborn received €18 million in TV money. In the third division, attendances have dropped to just over 4,000 with TV revenue standing at a much more modest €736,000. It’s no wonder, then, that at the club’s AGM, president Wilfried Finke warned they needed to restructure or else they risked going bust. At present, the club can only continue because the consortium behind the Benteler Arena, Paderborn’s stadium, guaranteed them a loan of €4 million. They are in serious danger of not getting their licence for next season and you are forbidden to compete without one in Germany. On the pitch at least, things are starting to turn around. The win over Fortuna saw Paderborn leap out of the relegation zone for the first time since the beginning of March. A 1-1 draw in their next match against Zwickau sees them keep their head above water by a single point – but how did it all come to this? Marius turned out to be a bit more lucid than that suggests. He talked of expensive signings like midfielder Kevin Stöger, who flopped last season. Expensive in this case is €1 million, which is no small sum to Paderborn, a club who spent most of the noughties in the second and third tiers of German football. Future Bundesliga coaches such as André Schubert, Roger Schmidt and André Breitenreiter cut their teeth at the Benteler Arena, but it was the latter who got the club promoted to the Bundesliga in 2014. Losing Breitenreiter to Schalke was a big loss, as were key players such as captain Uwe Hünemeier and Lukas Rupp, who also departed immediately after relegation. You understand quite how much Breitenreiter has been missed when Marius highlights that Paderborn have now had five different coaches since he left in 2015. The “catastrophe” among them was former Bayern Munich midfielder Stefan Effenberg, whose 141-day stint last season accelerated the path to the third tier. During Effenberg’s reign, the club went on a 13-game winless streak, a record that looks even worse when you consider he was only in charge for 15 matches. Off the pitch, striker Nick Proschwitz was sacked by the club after allegedly exposing himself to a female member of staff in January. Then you had Effenberg being given an 11-month driving ban in February for drink driving and, in March, it emerged he didn’t have a valid coaching licence having failed to undertake the additional training required. That was the final straw for president Finke who promptly sacked him. Finke himself even resigned at the end of the season after 19 years at the helm but, at the board’s request, he returned in December. 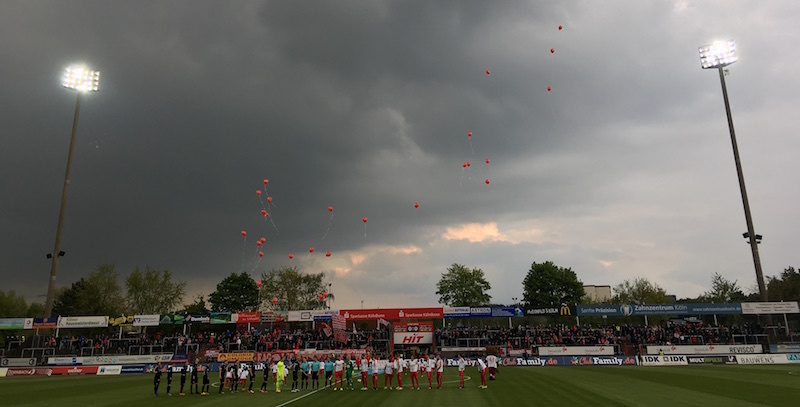 You might think that the turbulent period since relegation from the Bundesliga would have turned some against Finke, but you would struggle to find many fans with a bad word to say about him. They appreciate that without the furniture mogul, Paderborn would never have reached the top flight in the first place, nor would they have built the training centre which opened last year, or the Benteler Arena, their 15,000 capacity stadium which opened in 2005. Marc Vucinovic and Co just about seemed to get the message. Captain Tim Sebastian was sent off with just under 20 minutes to play and Fortuna Köln missed a glorious chance with two minutes remaining – which then saw the 10 men of Paderborn stream up the other end to win it. Aykut Soyak, a 22-year-old midfielder born and bred in Paderborn, cut inside from 25 yards out and curled an unstoppable shot into the top corner to the delight of the fans behind the goal. So long as people like Vucinovic stick around, Paderborn have a chance of both short-term and long-term survival. 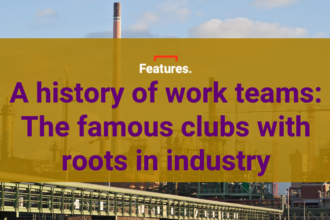 But the club’s story will remain a cautionary tale to others.